Pro Pacific DKI brings restoration services to the Central and South Vancouver Island regions, including Nanaimo, Victoria, Courtenay, Tofino, and all the areas in between. We employ a team of passionate people with big hearts, strong ethics, and high standards. It’s important to always do your best in business, and we think it’s even more critical when you’re operating in tight-knit communities, such as Nanaimo, Parksville, Port Alberni, Duncan, or larger centers such as Victoria. And as members and homeowners within these communities, we treat every renovation project like it's our most important one. Because we know for our clients, it is. We are proud of the reputation our team has established for providing high-quality, efficient, professional services. Our staff is a core group of long-term employees, experienced in their specific trades and in courteous, effective customer service. 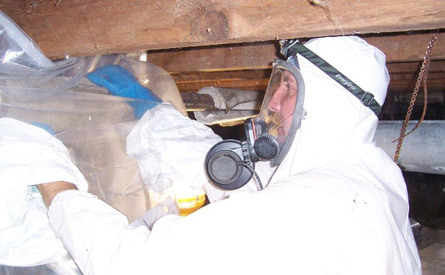 Each employee is trained to the highest standard in all areas of restoration, including structural drying, mould remediation, and fire restoration. Our professionals are uniformed, carry company photo identification and drive clearly marked company vehicles to instill client confidence. At Pro Pacific DKI, to ensure the highest levels of service we subcontract specialty tasks, such as art and furniture restoration, to experts in their specific field. We work with insurance companies, independent adjusters, brokers, property management companies, local and municipal government agencies, corporate clients, and individual homeowners. In mid-2017 Pro Pacific DKI and RS Restoration DKI merged under one management company. In December of 2018, RS Restoration DKI merged names and branding with Pro Pacific DKI, offering more flexibility and expertise when, and wherever, needed on South and Central Vancouver Island. From our operating locations in Nanaimo, Port Alberni, Duncan, and Victoria, we cover Vancouver Island from Courtenay to Victoria and from Tofino across to the Southern Gulf Islands. Pro Pacific DKI can mobilize a staff of over 70 personnel, providing our customers, clients, and industry partners with disaster mitigation and restoration services that are second to none. We will do this by taking our strong foundation and building on it with the latest industry practices and a culture of safety, quality, and continuous improvement. When a past client refers someone that they know to us, we think it’s the biggest compliment any business can ask for. And when you consider that over 90% of our projects come directly out of referrals from past clients, it becomes clear just how passionate we are about making a difference. We provided 24/7 assistance to help you get through any emergency. Contact us day or night after a disaster and we'll respond. Pro Pacific DKI is a proud member of a national association of restoration contractors known as Disaster Kleenup International. Membership in this organization provides us with an exclusive territory from Victoria and Southern Vancouver Island regions north through to Central Vancouver Island, including Courtenay, BC, along with the Southern Gulf Islands and the West Coast, including Tofino. Disaster Kleenup Canada is dedicated to promoting a consistently high level of service and business ethics. Members share valuable information, resources, and – should the situation warrant – physical resources, as well. Through DKI Canada, Pro Pacific DKI receives centralized marketing initiatives and training seminars so we keep abreast of the latest industry requirements. No matter what your situation calls for, we’re experts in dealing with the unexpected. We pride ourselves on providing our clients with the best problem-solvers in the industry. During unexpected and emergency situations, you want an experienced company that’s dedicated to helping you recover quickly. Pro Pacific DKI is licensed, bonded, and insured, with decades of experience making a difference on Vancouver Island. Around the office and on job-sites, we have a common saying – “Be Amazing”. We work hard to refine our processes, and to make it easy for our clients to understand their choices when dealing with property loss. We also want to clearly articulate what Pro Pacific DKI does differently. 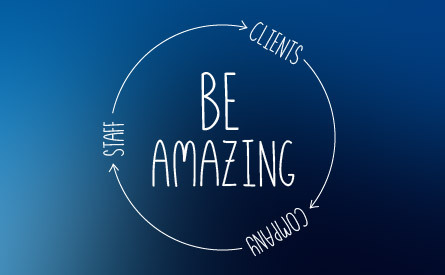 Simply put, that’s to “Be Amazing”. Less of a slogan, and more of a mantra, it’s our reminder to always provide a little “extra” while we work.